The most extraordinary shop of William Walton and family! Don't forget to place your order for Christmas. Choose from our fantastic range of traditionally reared, free range, dry plucked turkeys. Beef Wellingtons Sausage roll wreaths and any speciality cutting pies such as game pie, turkey and cranberry. Ramsays of Carluke (Rick Stein's Food Heros) supply us with oak smoked gammons and green gammons as well as black pudding, Lorne sausage and haggis. Homemade chestnut stuffing, sausage meat and a variety of sausages are always available. Breaded or honey roast hams cut to suit your requirements. As usual our Christmas beef is supplied by The Titsey Estate in Oxted, and we will have local lamb and plentiful supplies of outdoor reared pork. 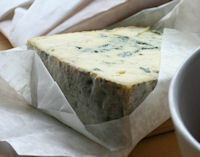 Cropwell Bishop will supply us with our top class stilton, loose or in presentation jars. Any special requests can be catered for, e.g. bird in a bird in a bird!! Boned, rolled, stuffed. Please order early. Rolled breast, guards of honour, crown roast, beef wellington, you name it and well do it… within reason! Please order early. We now have a selection of fine red and white wines just in case you need a bottle for that special occasion. Read about our Fantasic Local Cheese! 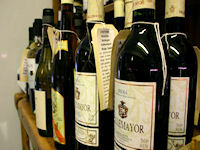 Buy from our wonderful selection of wines! Copyright © 2019 OutwoodButchers.co.uk. All Rights Reserved.